Our so-called Junior Suites look pretty senior to us. 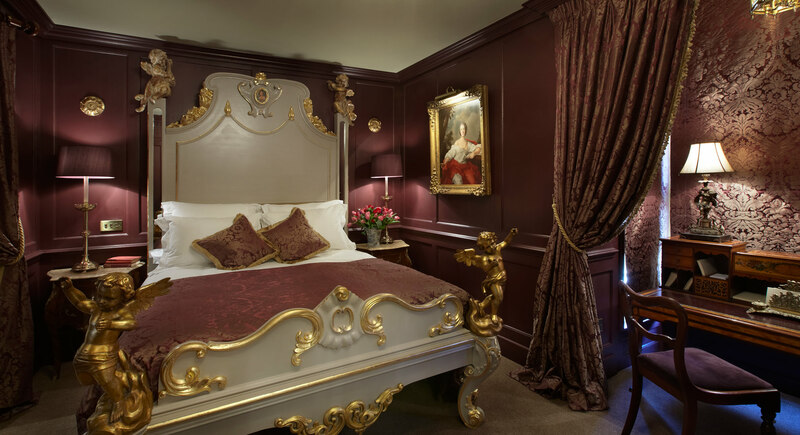 Genuine antique furniture and pictures, ultra-comfortable beds and truly extraordinary bathrooms featuring vintage roll-top baths, walk-in showers and throne loos. What’s a throne loo? Come and see – you won’t find anything like it elsewhere! “ This quirky little Soho hotel has had a guide entry for many years.